Our new apartments are 54 and 35 qm and consists of a bedroom, a bathroom, a roomyy- eat-in kitchen, and one till two other sleepings accomodations. The kitchen is completely equipped with a dishwasher, a microwave and a refridgerator , two SAT/TV and radio. Three large balconies guarantee our guests a breath- taking view and natural light. The bedrooms are furnished comfortably, all with their own balcony, shower/WC, hairdryer, SAT/TV, radio and personal safe. 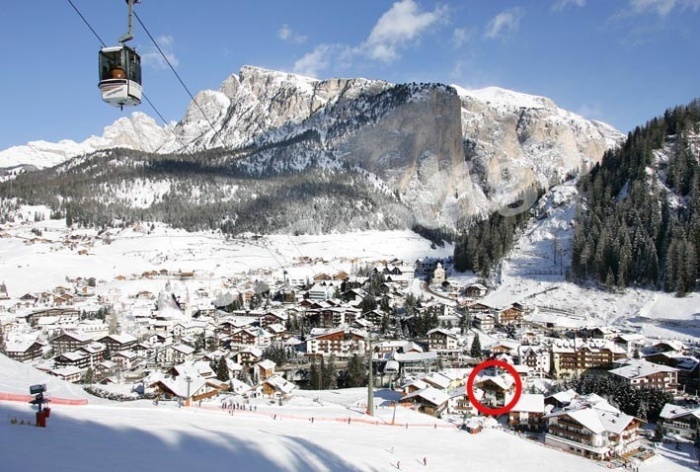 Selva, a favorite destination for winter-athletes, is placed at the foot of Sella group and is also part of the Sellaronda. 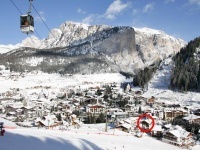 Our house rests in the loveliest lacation near several slopes and funiculars including Ciampinoi and Danterceppies, which are required for the Sellaronda. It`possible to ski until you reach the front of our house, and need neither car or bus. Selva, situated a 1563m, is sorroundet by the Sella group, Cir, and fulfills at the desires of visity walkers and mountainess. Because our house is an ideal starting point for hikes and walks, our house renders your automobil absolute. For our active guests we also offer a free admission to the outdoor and indoor swimmingpool in Ortisei, as well as a free mountain bike rental. For repose we provide a lown featuring a beautiful view of the sorrunding mountains. Table tennis and swings are also avaiable for our guest`s amusement.